When I prepared for and recorded this interview, I thought of the person who is starting a digital agency or already running a digital consulting agency. I want that person to listen to this interview and learn how today’s guest has built his company in the last year. So that’s the focus for today, but anyone else is going to get a lot of value out of this too. To help me do it, I’ve got Josh Denning with me. He is the founder of Authority Factory, a high-end digital consultancy which helps companies double their traffic, get leads and generate sales. Josh Denning is the CEO at SmartROI which is a Sydney based SEO and Internet marketing company. He’s also the founder of Authority Factory, a high-end digital consultancy which helps companies double their traffic, get leads and generate sales. Andrew: Hey there Freedom Fighters, my name is Andrew Warner. I’m the founder of Mixergy.com, home of the ambitious upstart. Yeah, two fists up in the air for my guest. He is a long time Mixergy listener and a first-time interviewee here. It’s so good to have you on here. So Josh Denning and I talked before we started the interview, trying to figure out what should this interview’s focus be. And here’s what I imagined. When I’m recording this and when I prepared for this, I thought of the person who is starting a digital agency or already running a digital consulting agency, I want that person to be able to listen to this interview and learn from how Josh built his up in the last year or so. And so that’s the focus. Anyone else is going to get a lot of value out of this too, but the most value is going to someone who’s looking to build a digital agency. That’s my vision anyway. Let’s see how close we can get to it. And to help me do that, I’ve got with me Josh Denning. He is the founder of Authority Factory. The website is authorityfactory.net if you want to check it out. It’s a high-end digital consultancy which helps companies double their traffic, get leads and generate sales. And this interview is sponsored by HostGator. I’ll tell you later on why, if you we need a website you’ve got to check out hostgator.com/mixergy. And it’s sponsored by Toptal. Really, write down the URL for them because anyone who needs a developer is going to thank you for giving them this URL T-O-P-T-A-L.com/mixergy, toptal.com/mixergy. Josh: Thank you for having me, Andrew, really looking forward to it. Andrew: Dude, you’re looking really good on camera. What is it that you have that’s in front of you? Josh: I have a four-bulb softbox from my studio that I carried across the road from my office that’s literally a three-minute walk from my condominium. Andrew: Why are you recording it at home instead of at work? Josh: The mic is set up and everything I’ve got at home and the mixer, and everything just would be better at home. Andrew: I like the lighting a lot. One thing I know about softbox lighting is that it can get hot. Have you started to sweat yet? Josh: Not yet, but softbox combined with the Bangkok sun is probably going to get there by the end. Andrew: Where are you right now? Josh: I’m in Bangkok, Thailand. Andrew: Oh, I just assumed you were in Australia. I know that you work out of Bangkok. All right, let’s talk about how you built up this business and what you are doing in Bangkok and what the hell it is with the whole .net URL on your site. Does that bother you, by the way, that it’s authorityfactory.net? Josh: I’d much prefer to have the .com without a shadow of a doubt. I guess what we’ll probably start to do pretty soon is begin making offers to the owner of authorityfactory.com, who is not really doing anything with their site. Andrew: All right. Are you sweating now? Now, that I’ve asked you that question? I’m a little sweaty actually. You know what I kept saying to myself? Do not bring that question up until later in the interview. I know it’s in your head Andrew, but please let it just sit there and then I just couldn’t stop. I can’t hold myself back. Josh: Because as soon as you start thinking about sweat and the beads begin to form and slowly but surely, the water comes out. And you can always have a sip of it. Andrew: You know what, Josh I’m going through this thing where I’m trying to figure out what is my voice as an interviewer. I like to think of myself as the person who’s really genuinely curious in the guest and who wants to learn from them. But I think the more the audience reacts to how tough some of my questions are, the more I feel like that’s maybe a part of who I am too, and it is. And then the guest starts to be, not upset by it, but they kind of respect me more for being more aggressive with some of my questions. So I think, ah that’s an easy way to win affection. That’s an easy way to get people to like what I’m doing here. And so instead of asking aggressive questions from a point of view of someone who’s genuinely curious and is determined, I launched into some aggressive or tough question right away because I want it to be a shortcut to winning affection. As a long time listener, have you heard me say that? Have you heard me do that? Josh: I have heard you ask some pretty curly questions over the years, yes, definitely. And I’ve always thought, well, I’ve even seen you do it with people like Seth Godin and different, big authors, yeah, wow, good questions, Andrew. That must have taken some gut. Excellent, definitely. Andrew: When it comes from a good place, I’m proud to have asked it but when it doesn’t, I have to call myself out because if I’m going to call my guest out, or if I’m going to ask them questions and I want them to be as open as possible, I’ve got to be as open as I can be too. All right, never mind all that. Let’s go to how you started this agency about a year ago, right? What happened was you had this relationship with a business partner that kind of fell apart. What was this relationship like, it’s a little hard to explain, how would you sum it up? Josh: It was definitely a good relationship. There were huge positives to the relationship that I value very much to this day. But there were also some negatives to the relationship and it was a, I guess it was a relationship of mutual benefit. Of course, I always, him being the main financier of the relationship, the financial rewards was significantly weighted his way, but I was always okay with that. I was getting an opportunity to really build a very large company without having to worry about finance. Andrew: But he had an agency that was consumer facing, client facing, right? You had one where you were servicing just one customer, which was him, and he then had all those other customers directly connected to him. And what they did was what? Advertising? Josh: That’s right, primarily, SEO. It was in where I was, it was a full service agency, retail agency, websites, hosting, SEO, pay-per-click social media. My responsibilities were to grow and develop the SEO and pay-per-click clients within the business as well as the team that fulfilled for those clients. Andrew: Okay, but the bills, the revenue is going to his company and then he paid you as his vendor. You were his vendor but he had all those other clients directly. Josh: Absolutely, yes. The clients all got contracted to the Australian company, which was his, and we put in an invoice for all our expenses through the month through him, which he paid. Andrew: So then what’s the problem? What happened that made you decide I’ve got to break free here? Josh: So the deal was that for every three clients sold by my agency, two went to his firm and one was supposed to come to me. But I went to the altruistic side of things and thought this is going to great, I’m in this is for the long term. I’m going to spend the first year just giving all three clients to his firm, get more revenue built up on his side of things, get the team built and then I’ll start getting my share next year. And then a couple of months went by, I probably took a few clients, and another few calls came through and the next thing I knew, I was renegotiating and it was time to everyone starting sing the same song, drumming in the same direction, and growing the one company. And I didn’t realize immediately, but suddenly realized, okay, the deal has been taken off the table. If I’m to keep this relationship, it means that I can’t have clients in my business and I can only service his agency forever. Andrew: I see, so you’re supposed to find new clients for him and hire people to do SEO for the clients that you gave him but he keeps the clients, he keeps the revenues, and he gives you basically a salary or payment. Andrew: I see. This sounds a little bit confusing, though. What kind of business do you have where you end up with that many SEO clients? Josh: A business driven by very good lead generation and sales system. Andrew: What’s a lead generation to get you so many SEO clients? Josh: Like is in what mediums do we use? Josh: The main way that my team was generating sales, which is probably going to sound crazy in this day and age, that was cold calling. Andrew: So you had a team of sales people who would just cold call clients up, tell them you could do SEO for them and a team of people who did that SEO. Josh: I had a small team of just-appointment-setting guys and then I had a small team of more highly-trained digital consultants that would get on the phone with that appointment and do a consultative-needs analysis and go through a process of a few calls and win the deal. Andrew: I see and then other people who did SEO? Andrew: What kind of customers did you have? Josh: So at that point, we were at a minimum a thousand dollar a month was the minimum commitment, typically 12-month campaign, sometimes, it would be a 6-month campaign. We would take on very occasionally a three-month trial. But it was made very clear that three months is just to get a feel for how we work, how we service, that we don’t disappear after the deal. Andrew: Did you have real estate brokers as clients? Josh: Yeah, we did. We had real estate brokers, mortgage brokers, photographers, landscapers, it’s a whole mixed bag. Andrew: I see. But small, what they call SMB business, small-medium-sized businesses? Josh: Very much so, yeah. We’re talking businesses that were doing in anywhere from a quarter of a million dollars a year to five million, probably the biggest we had is doing maybe 10 million a year. Although that said, actually, we bought on Rio Tinto, we did have a few good big businesses as well, like billion dollar businesses. Andrew: So you were frustrated, this wasn’t the lifestyle and it wasn’t the business that you’ve signed up for? You went to him and you said we’ve got to dissolve this. You guys got into an agreement about how to break up. You got payment, he got to keep all the team. You said goodbye to the team in a heartbreaking goodbye, right? Andrew: And then you had to start over from scratch. No money, no customers, but a lot of knowledge. Josh: Definitely. So that actual heartbreaking goodbye was me sitting at the board table and having my 36 team members coming in one after the other, saying goodbye and me getting them to sign a new contract because it all happened very quickly. I told him on the day, the day I told him I had to exit the building that day, virtually. So it was pretty intense exit. Then yeah, exactly as you said, gave all the customers to him, gave all the team members, all my systems. I walked out with a huge amount of knowledge and a fair amount of money in the bank. Josh: Probably, I guess, not a huge amount. Probably, I had about 40,000 Aussie dollars in my account. Andrew: Okay, that’s solid. That gave you something breathing room and that gives you some space to think about what you want to do next. And it seems like what you want to do next was essentially what you did before, right? Josh: For a while no. Initially I thought I was going to just podcast and then actually coach startups, coach beginner entrepreneurs, or early-stage entrepreneurs. But after six months of doing that and a few people calling me that wanted to get SEO done and wanted to get pay-per-click done, the bug just bit me again and I realized my passion, my knowledge, my skills, it’s building agencies and I quickly got an office and it was time to get started again. Andrew: Okay. And that podcast is Tropical Entrepreneur and it’s still running. People can check it out at tropicalentreprenuer.com, right? Andrew. Cool. So where did you get your first customer? Josh: My first customer was someone I’ve worked for a few times, so a guy that I’ve kept a relationship with, I’d serviced him in the past. He used to have a modeling agency in Sydney that I got him to the top three position for modeling agency Sydney. And I said, “Look, we can. It’s not going to cheap and it’s going to be about $6,000-7,000 to do that. We’re going to need to use, definitely not black hat, but not super white hat, just like beige hat strategies to get you there.” And he said it’s okay. Should I quickly explain the difference between black hat and white hat? Josh: Just real quick, black hat is doing things that Google don’t like or Google prefer you not to do to get to the top of page one. White hat is everything that Google like and beige is like everything Google like, with just a little bit of stuff that might not be totally perfect SEO, I should say. Andrew: What’s a gray hat thing that you did, maybe not for him, let’s say back then? Josh: Sure. So we used to build quite large PBN networks where we would buy domains that had very high authority that with the same niches the client and we would set those domains up and put a new site on them with content. We would host them all over the world, with all different companies that hosted and linked those into the client. So we’re really supposed to attract links or get a link from a value, you’re not really made to build links. Now, we focus more on earning links. But that was a very effective strategy, it still is, but we try to lean towards earning links. Andrew: I’ve got a note here that in the early days, you did a discovery call with your customers. What is that? Josh: So a discovery call, we still do that, it’s very important part of our process where we’re definitely on a hard sales firm or soft sales firm. We very much focused on needs analysis or discovery calls, which is where we’ll spend a good 45 minutes or sometimes more than that. It could be called a strategy session, really learning absolutely everything about our client. Learning what their needs are, everything about their kind of business, their objectives, their goals, where they are right now, where they want to be, why they’re not where they want to be, what marketing they’ve done in the past, did it work or did it not work? Why it did not work? Andrew: And that’s what you used to figure out what you were going to do for them? Andrew: All right, I see how you got your first customer. Let’s talk about how you got the next customers. In fact, before we get into that, I want to understand, did you know what you were going to sell? Did you know very clearly that you were going to get back into the SEO game? Did you know very clearly that you were going to target the same small-to-medium-sized businesses? Did you know very clearly what your mission was? Andrew: You just said exactly what worked for this other company, I’m going to do? Andrew: And did you add anything over the years? Josh: The difference has been the way we generate leads. So we did very little cold calling these days. And we’re big on systems and we’re also doing a lot more content marketing in our SEO. Our organic search engine optimization now is very much authority-content driven, where we will create exceptional long form blog articles, multi-media pieces, information graphics. We do a lot of blogger outreach. So we really lean towards very, very high-quality white hat search engine optimization as opposed to doing big blog networks. Andrew: Okay. I see how you got your first customer. How did you get your next batch of customers? Josh: So this is quite interesting. The immediate next batch we did get with cold calling. So I’d say the first next ten customers. But what I did after that, I think, is much more interesting. So I knew that there were people out there that were getting, actually, it was Salesforce that really put me on to this. Salesforce had a very elegant system of reaching out to B2B businesses, business to business companies using cold email, one to one done manually. So I wanted to explore that as a growth hacker’s way of doing a business, low cost high impact. So I hired a copywriter to produce a four-step sequence, so an email one, an email two, an email three, an email four that was designed to be sent over a three-week period. The copywriter did that and I spent about $2,000 on it. And then I hired virtual assistants in the Philippines, data miners in the Philippines, and the data miners would go out and choose a niche, for example real estate agents in Sydney. Data miners would go from page 1 to 10, put the URLs down and then use a reverse IP lookup to find the owner of that domain and then check the owner of that domain on social media to make sure it was the business owner, not an agency. Then they’d run the email address to a validation tool to make sure the email was still working. And once that data was mined and we have a list, initially, of only about 100 a day. Now we are doing 500 a day. We go to the email list and initially it was just one email up that would email all those records. Now, we have three email lists, right now. And each email has a step to send. So it’s very systems driven where email one sends email one, email two sends email two, and email three sends email three. And over a period of probably six months, we were able to get our conversion rate on those cold emails from initially, very initially, before we actually got the copywriter, we were getting probably 0.1%. Today, from sending out a hundred emails with all three steps, our conversion rate is 8 to 12%. Andrew: What’s the biggest change in the copy? Josh: Short, very short copy. Making sure that it’s going to be intrigued-based. So nothing about SEO or anything like that. It is very focused on the gains we can get for the business. So we say we’re going to get gains of 35% in a matter of months, and 100 to 300% within 12 to 18 months. So very intrigue driven, that’s the first email. Andrew: Why did you target people who are already on page 1 through, what did you say, page 5 or page 10 of Google? Josh: So page 1 to 10, I guess there wasn’t really that much thought put into it, but I would say that anyone that is already in the top 10 pages has probably got some knowledge of SEO, has probably done some SEO, and I consider them at a more evolved stage of the digital industry, of the market. So it is easier to sell to someone that has some knowledge. Andrew: So you might type in something like Santa Barbara real estate, what did you do, agent? Josh: Yeah, probably Santa Barbara real estate agent, yeah. So we always look for services businesses that have a high value per sale. Andrew: I see. And now if I do that I see Susan Perkins, I see Jake Ralston, and those are all good candidates because they are really close to the top but they’re not at the top. So they know a little bit of something but not enough and you can help them by doing some search engine optimization. Now, let me do a sponsorship message and then I want to ask you about how important it was that you really were clear about what your packaging was, how you got people who were going to service these customers, and so on. But first the sponsorship message is for this company right here. HostGator, if you need a hosting company I urge you to check out and frankly in the end, sign up for HostGator. Have you had any experience with them, Josh, have you used them at all? Josh: I have, yeah, and I actually really like HostGator and you absolutely got to send me that mad little crocodile man. Andrew: All right. I also have a HostGator cup and HostGator sunglasses. What have you done with them? Josh: I want the croc. Andrew: Oh, you want the doll? All right, I can do that. Josh: The sunnies are pretty cool. Andrew: I’m going to miss you HostGator doll but I can do it. What do you do with a hosting package like this? Josh: So I’ve used them for my own back in the day, like 2004 to 2007 when I was in affiliate marketing so I used to have lots of sites on HostGator. And I’ve also used them for PBNs. Josh: For Private Blogs Networks. Josh: A Private Blog Network is essentially, it’s a network of websites that have authority that we use to push websites to the top of page one. Andrew: I see. So if you had Susan, what’s her name? Susan Perkins from Santa Barbara as a client of yours, you might create a website on HostGator with some authority and then link it over to her so she gets some authority. I see. Josh: We might, but don’t tell Google. Andrew: Do you think the affiliate business would still work today? Can you go to Commission Junction, can you go to Click Bank, can you frankly, go directly to a company whose product you like, sign up for an affiliate program, then go create a site on HostGator to promote it and link back to the affiliate? Andrew: You could still do that? And then make money as a percentage of sales that are generated from your affiliate link. Andrew: Or if you don’t make any sales, you can do leads and make money for free? Andrew: What would you do if you had a HostGator account? What affiliate program would you set up on it? Josh: If it was me, just because of my passions, I would find, probably an Internet marketing program of some kind. Typically, what I used to do when I did that, and I did a lot of low end sales as well, but I did something called guru piggybacking or launch piggybacking. So say, Jeff Walker or even yourself Andrew, say you were doing a product launch about podcasting. And it was going to be $2,000 and it was going to take me right through how to podcast, I would buy a site like with the domain Andrew Warner’s Awesome Podcasting Product. And I will get a rank for that keyword, which you could do quite quickly because it wouldn’t probably be a lot of sites already because it is a new product. And yeah, you usually get a 50 cent commission on a $2,000 product. That’ll be pretty cool. Andrew: So you make a $1,000 every time on of your links generated a sale? What would you do to get traffic to the site that you built on HostGator? Josh: In when I did do it, I always used SEO. Andrew: You just go to forums and get traffic, what else would you do? Josh: In those days I would use an exact match domain, build a few links to it, put some great content up, add a bonus package to the page. So you know, this is my bonus, this is my awesome how to do SEO and do what I do that’s super cool to get your website to the top and make your thousand dollar commissions. We also did some Google AdWords traffic, bit of Facebook traffic, that kind of thing. Andrew: And so if someone bought the Andrew Warner Podcasting course from your link, you would also give them an extra bonus as a thank you for buying it through your link, instead of through my link. Josh: Yes, but always after the refund period. Andrew: Always after the refund period. All right, so that model would still work today? I like it. HostGator.com if you need a host. If you want to experiment with that idea, or any other idea, just go to hostgator.com/mixergy. When you go to that URL, you’ll get taken directly to their low, low offer for a hosting, which is 30% off, and I’m really grateful to them for sponsoring. Thank you, HostGator. And this is on its way over to Josh. Andrew: I feel like a lot of people who start out with consulting companies don’t narrow their focus down to just SEO done just one way, the way that you did. They say that they’re going to get into marketing. And then they leave it open to the clients to tell them what kind of marketing they’re going to do. How important was it for you to say this is exactly what we do and only this? Josh: Critical. Unless you got heaps of experience and you go to build a number of agencies and you really, really know what you’re doing, you most definitely don’t want to hang your shingle out as a marketing consultant because you are for one, going up against the biggest firms in the world like Ogilvy & Mather and Saatchi & Saatchi and those kinds of people that have got massive bank accounts to play the game. Second, it is very difficult for clients to tell you what they want. They typically want to be advised by you. And third, it’s just much easier to create a unique value proposition when you’re specialized. Andrew: But what if a client would have told you, I don’t think we can do any better with SEO. We’d like to try some ad buys, would you have done that? Josh: For the first six months, no, because we didn’t have a team in place to fulfill that and I didn’t want . . . personally I could have done it myself, but in that early phase of the business, I didn’t want to be side tracked off my main objective. Because I find, when you keep yourself focused with one main objective, it’s much easier to get momentum and you’ve only got so much bandwidth like I guess with brain power to focus on so many different things. So I think with a startup or an early phase business that’s in that early growth phase, the more focused you can be with your attention, the easier it is to get that momentum and really get the snowball rolling. Once you hit momentum and you’ve got some team members on and then you can start adding on products. Andrew: How structured were you about the way that you did your search engine optimization work? Josh: So we are very structured. I, back in 2008-2009, was working with Bruce Clay, who is a bit of a legend in the SEO industry. He had back then one of the very few courses where Google have actually said, not certified, but if you want to learn SEO we recommend you go to Bruce’s course. They would have Bruce come and speak at their events and their conferences and everything like that. So I was taught directly by Bruce. He flew over to Australia, spent six weeks with me, which he does with all his analysts. So that was an amazing experience, and I spent another year working under his directives of the Australian arm. And he’s got a very methodical way of doing SEO where its all based on reverse engineering. So his theories was that principals and fundamentals will always defeat tactics and techniques. And his principal and fundamental-based approach is one of reverse engineering. So the way we do SEO is we always look at what Google got at the top three right now and we reverse engineer the amount of pages the site has, the title tags, the mini descriptions, the h1s, the keyword density, the link profile. So we take a very scientific approach to the onsite optimization and the link building. But then we take an artistic approach to the content creation. Andrew: I see, so you didn’t have to invent the process yourself. You had the process that was already created by Bruce Clay, you formalized it for your company, and that’s what you were using to service your customers. Josh: Yes, that’s right Andrew. So I guess one of the things that is worth bringing up now is my value proposition to clients has been for some time that . . . so having worked with Bruce Clay, it was where it’s like Bruce Clay $20,000 a month minimum, it was a minimum of $10,000 a month to do SEO. And then moving to second or third firm that we were talking about earlier, where I kind of ran it, managed it, where it was like $1,000 a month minimum. Huge difference, but no way near the level of service that a Bruce Clay would deliver. So part of coming over here for me was the value proposition of wanting to deliver Bruce Clay level service, you know $20,000-$30,000 a month level service, for one-tenth of the price. Andrew: I’m reading this book called “The Firm.” It’s about the making and growing of the consulting firm McKinsey. And these guys where huge, they became a billion-dollar-plus consulting company. And all they had to offer was their advice to companies who were paying them millions of dollars. And life was good for them. These guys were working with the biggest companies ever. They were actually helping the federal government. They were helping to structure the way U.S. is run, including like they created the office of the, what is that, Chief of Staff for the President. It would just to give you a sense of . . . I just dropped this mug, which is now mine, not yours, they . . .
Andrew: Just to give you a sense of how big they got and how much impact they had on the world, and suddenly this little outfit called the Boston Consulting Group comes out of nowhere and what they do is they just have this simple metric or matrix with four [inaudible 00:31:57] of where a company should be and based on where they are, you know exactly what a company needs to do to grow or just get out of the business. And suddenly, they were taking away business from McKinsey. And the thing I got from that and the thing that McKinsey took away from that is that people really like frameworks. Its very easy for clients to know what you’re going to do for them. Its easy for the company to know what they need to do from time to time. And it creates a sense of certainty. And it seems that is what you had starting out. You had a framework, you didn’t invent it yourself. You didn’t sit down and come up with it. But you’ve adopted it from someone else and that gave you clarity for what you should tell your employees, clarity for how you can perform for your customers on a regular basis, and so on. Does that seem right or I might just taking what I learned last night in a book and applying it to your life? Josh: Hundred percent. I love being compared to McKinsey and Boston Consulting there, thank you for that. But absolutely, and not just with the SEO, but also the sale system, the lead generation system, the project management system, and the client services, the accounting with zero, like using zero certified accountants, yeah absolutely, frameworks is . . .
Andrew: For everything, you didn’t do the framework yourself, if someone else already had it like the previous partner you had, had a framework for how to get customers, that’s what you were going to apply. Josh: So yes, we would model the best frameworks we could find and then our objective is to then improve them and even bring in outside consultants to work on those frameworks further and make them even better. Andrew: I see, do you think that would work outside of search engine optimization? Let’s take an example of a very creative consulting company design. Can someone who is starting a design consulting company who says, “I don’t want to have to invent my product. Every time I talk to a customer, I want clarity for myself, I want clarity for my clients.” Can that person find a framework and just use that to service all their customers? Josh: I think if they don’t do that, they’re setting themselves up to have a very difficult time in business. Andrew: Okay. All right, and so for you what you did was you worked for the person. I can see someone going in and hiring the company. In fact you did that. You did that with Bruce Clay. You hired him as a consultant to teach you, as a trainer. All right. Josh: I actually worked for him. I was employed by Bruce for a couple of years. Andrew: I see that and I think it was in 2010? Is that right? Andrew: But I thought you also hired him to come in and help you. Josh: Yeah, we did do that a bit too. Andrew: All right, so now the business is starting to go well. Now you are starting to bring in customers. Why did you bring in any funding? It seems like you had $40,000 already, it seems like your model just works. Why bring in investors? Josh: The eight months on Tropical Entrepreneur definitely drained quite a bit of that $40,000 in resource. Andrew: You weren’t making money as a podcaster? Josh: A little bit but nowhere near what I was spending. So I hired John Lee Dumas as a consultant. I spent four months with him, one on one. If you were obviously doing that Andrew, I would have hired you but unfortunately, you weren’t. And just other things like setting up Libsyn, and the mics, and the mixers, and not working for six or eight months. A number of things were, and I just felt that, one thing, I also go off Warren Buffet’s rule. Rule number one, don’t lose your investors money. Rule number two, don’t forget rule number one. So I knew as well that bringing some money in would give me some people to be committed to and accountable to. And it was only a very small amount of capital for a very small amount of equity. So that was one thing and I just wanted to have that safety net there because I knew I was going to employ people immediately. I wasn’t going to try and be a one-man solo operator. I just needed that buffer there. [inaudible 00:36:05]. Andrew: We’re not talking about millions that you took on. How much money did you take? Josh: No, I only borrowed $20,000. Andrew: Twenty thousand bucks and some of it came from your first customer, right? Josh: Yeah, well the $20K came from three investors, three monetary investors that essentially got 3% of the company each or 3.3%, so 10% in total to the three of them. And then the injection of cash from my one customer definitely helped but a lot of that actually went into getting that rapid result. But it was also used for a case study because I did take him from page six to position two in four and a half weeks. Andrew: Really? That’s impressive. Who were the investors? Josh: So they’re three Thai people. They’ve been friends of mine for some time. One of them is a grandson of a big food chain over here, which is called S&P, a big restaurants company. The other one is a daughter of one of the first cosmetics factories in Thailand. And the other also owns an agency over here that services Thai customers. Andrew: Okay. So it’s basically friends just who believed in you. Andrew: I know you said earlier that you got people from the Philippines to do the work. Where do you find people in the Philippines who are good enough to do search engine optimization without screwing it up? Josh: So that is a real art. It has taken me literally a decade of trial and error, of working with different Filipino team members to figure that out. I just want to underscore that by saying over here in Thailand, we actually also have employees. We’ve got team members from New York, we’ve got team members from London, we’ve got other team members from Australia. So a lot of the fulfillment and the client services and the management is actually done by experienced people from different parts of the West. And the people that do work on the fulfillment stuff in the Philippines have all got their criteria is minimum of three years agency experience. They can’t just be a freelancer from home and they need to be a full-time employee of our team. It can’t be a freelancer and they can’t be working for other companies. And we use a recruitment agent to do the initial work with interviewing and finding team members. And that recruitment agent does a DISC analysis, they do an English language test, they do a skills test, they do a computer’s test. And they line up, whenever I’ve got a position open, they line up nine people for me. It’s always about that. And I go through all of their resumes, their DISC analysis and all the different things, and I choose the first three that I want to interview, and I’ll interview them one after the other. And then I’ll interview another three. I usually find from that six that I interview, one or two that I hire. Andrew: What’s a DISC analysis? Josh: What does it actually stand for? I’m not sure exactly what it stands for, but it’s a personality and a psychological test, a very, very robust, thorough one. Andrew: I think a past interviewee talked about too. Man, I can’t think of who it was right now. It’s Kennedy, I think who did it. But I’m blanking right now. Andrew: No, I think Jamie Kennedy. I think he even got me an analysis with him and I never took it. Josh: It’s worth doing, really. I’ve done a lot of these different personality testing things and the DISC one is like a billion-dollar corporation level personality test. Andrew: What’s it going to tell me about myself? Josh: It’s going to give you about 50 pages of information about yourself. And it’s going to give you graphs and quotients, and it’s going to essentially tell you which quadrants you are stronger in, whether you’re a driver or an emotive or intuitive or a, kind of what the C is, but it’ll archetype you. It’ll tell you your personality traits, what you’re likely to do in a company, where your strengths are, your weaknesses are. It’s very, very thorough. Andrew: It was actually Derek Capo, that’s the guy that’s got me signed up for it. He was also hiring using it. So then with this level of scrutiny around every person you hire, it sounds like you don’t so much have a system as you have a set of guidelines and you hire really smart people to apply those, the guidelines and the methodology, right? Josh: For the hiring, yes. Andrew: No, I mean, the work that these people do. It’s not like building a website where you can say here are 10 steps, look at them in Google Docs, go do them because we just got new a client. It’s much more of an art than that, right? Josh: Yeah, it’s definitely not something where you could hire someone that doesn’t have prior SEO experience and give them a standard operating procedure and just say do this. Definitely not. Andrew: That’s a really hard thing then to hire for when you’re just getting started. How much of the SEO did you do yourself? Josh: So for the first few months, I did almost all of it. I did a lot of it. And I’m still am pretty heavily involved in that aspect of the quality control, the double checking of the link, making sure that the link building is done right. I still, would say 20% of my time is still spent in fulfillment and quality control. And for the first three months, I was doing 100% of the fulfillment. Andrew: So you were doing everything, sales, fulfillment, customer service, the works? Andrew: How important is that at first? Josh: Unless you’re venture-funded, I think it’s a must. I have done it before. Even if you are venture-funded, I really think you need to have a pulse of the business. I will never fully extradite, take myself out of the process completely because I think that connection to the customers, that connection to the sales process, that connection to the fulfillment keeps you close to the market and understanding how your business is progressing and where you are and are you still on the mark. But also allows you to remain in good relations with your team members and your managers because you never forget what they’re going through. Andrew: What did you learn actually, by doing it yourself? What kind of understanding did you have by doing it for your first customer that you didn’t have when you were managing all those people who work for you back when you had a partner? Josh: I think the biggest difference is whether it’s fully your business that the responsibility to the clients really goes up 3 to 10 folds. So there’s a much greater degree of a personal responsibility and initially that’s quite a large emotional spectrum that you’ve got to navigate. That was probably the biggest thing that really the high highs of the success and what’s happening, sometimes the lows of the freak out of realizing that you’re now totally responsible for all these team members, all these bills and making sure the clients get results. But I think that really helps you grow as a person, being able to handle the swings of emotion. And then being able to, in that large spectrum, remain calm and controlled. Andrew: You mentioned how tough it was for you to find people and what a rigorous process you have, that really leads into my sponsor, which is Toptal. If you’re spending this much time, Josh, finding someone whose going to do SEO, could you imagine if you need to find a good developer whose product is essentially what you’re selling to your customers. How much work do you have to go through to make sure? Are they really good developers? Can they actually communicate with you? Or are they someone who’s really good at the work but can’t understand how to work with you? Have you hired developers a lot? Josh: I have and what you’re saying right there is one of the hardest roles, especially if they’re doing complicated development, like if its software, or front-end or back-end development like if you have a service that makes sure their good, five-star value. Andrew: It’s really tough to find the right person and that’s why Toptal is doing so well, frankly as a business. What Toptal does is they pre-screen their developers in their network. Then they reject 93% of all the applications, of all the possible developers they could work with and they do it through a rigorous screening process. And they’re not just doing it because they’re jerks. They’re doing it because their process is so tough. I wonder if Harvard rejects more people than they do. I don’t think so. So they get the top 3% in their network and then when you as a client have an issue, have a need for a new full time developer, maybe a staff of new full-time developers, or maybe you need people who are just going to help round out your team, maybe an hour or two a day. Toptal can understand your needs, then they go to their developers and they see who is going to fit your needs perfectly and they introduce you to that one person. If you’re not happy with them, they’ll make an introduction to a second person. But what I found is the first or the second person they introduce you to are going to be such good fits that you’re going to want to work fast with them. And once you do find them, you don’t have to wait for them to give two months notice at their job. You don’t have to wait for them to try figure out what their life is going to be like. Do they need a vacation first? No, Toptal can get you up and running with those developers right away. We’re talking about within a day or two. And those developers that you hire become team members that you can work with using whatever system you have. You’re on Slack, they can work with you on Slack. If you’re on email, they can work with you that way too. I want you to go check them out. They are now offering Mixergy listeners, because they really want to win you guys over, they’re offering you 80 free Toptal developer hours when you pay for 80. In addition to that, they have a no risk trial period of up to two weeks. I don’t think they’ve offered this to anybody. I can’t imagine that they’re offering 80 free Total developer hours to anyone. I’ve Googled and I couldn’t find it. If you want it, you have to go to toptal.com/mixergy and you’ll see that people you admired, like Airbnb have already discovered these people, have already discovered Toptal. T-O-P-T-A-L.com throw a slash Mixergy at the end, like I said, you will get 83 developer hours from them in addition to a trial period of up to two weeks. That means if you’re not 100% satisfied you won’t be billed for the two weeks. Josh: Wow. What a deal. Andrew: Yeah, the developer though still gets paid. Toptal will pay them. It’s not like your stiffing a developer. They really want you to be happy. There’s a reason why these guys are doing so well. There’s a reason why Andreessen Horowitz is invested in them. There’s a reason why TechCrunch is writing about them. These guys have hit it. Go to toptal.com/mixergy. All right, you get up and running. You never go back to phones after you figure out that you could just start sending out emails to people? Josh: I got to ask you a quick question about Toptal, if it’s all right. Andrew: Yeah, this is a sponsor that every guest is writing down and asking questions about. Josh: Can they find you developers in any country? Andrew: I do think they can. I don’t know that you can specify that. Let me have a look here. They actually did specifically say something about countries. Why are you asking about country? Josh: Just because I would really like to try keep, it’s not a must, but I’m really trying to keep my team members fairly close to this region because we’re going to have annual meeting and a half yearly meeting. I’m going to pay for them all to fly to a location. Andrew: I didn’t realize that you guys do in-person meetings. Well, I’ll tell you what, I’m 80 to 90% sure that they do, but I’ll just make an introduction for you. Do you want an intro to them? Josh: Please, yeah, sure, Andrew. Andrew: And I’ll say frankly that I’ll do this to anyone in the audience and I have for many others, if you want an introduction to Toptal, just email me at andrew@mixergy.com and I’ll intro you to my guy over there, who’ll take good care of you. Great, and you can ask whatever question you have of them. They’re incredibly responsive, incredibly helpful. They’ll even get on the phone with you and start to answer any question that you have and see if it’s a good fit and if it’s not a good fit, fine. If it is, they get you started quickly. Your wife was working with you, speaking of people. I’ve never worked with my wife. I don’t know if I can do that. I love her, I love spending time with her. But what’s it like to work with your wife? Josh: She worked with me from the second rendition of the old office. It went through two phases. The old agency that I was working in and she started there at the second rendition. She was there for a whole year. And that first year, there was a lot of challenges, a lot of learning, a lot of getting to understand how each other worked, which is very different to your home life. But these days, she is invaluable, like I just can’t imagine the business without her. She’s gobsmacked me and blown my mind in so many ways with her business skills. I just had no idea she had with accounting, with dealing with the government, with dealing with bureaucracy with the Thai government, and getting work permits through and getting licensing approved. And with that she also does all the accounts, books clients, the invoicing, and just fantastic. Andrew: And part of the reason for that is you needed someone who is going to handle the business side because you want to do a lot of the sales. In fact, you told our producers that you were really into growth hacking in the early days. What kind of growth hacking did you do to bring in consulting work? Josh: For me, I really considered the cold email outreach growth hacking strategy. I look at growth hacking a little bit different to the way kind of growth hacking market looks at where they’re bolting together different types of something on Reddit with if this then that, and a couple of other bits of technology to pull leads and clients out from all over the place. For me, a growth hack is anything that is very low cost that generates a consistent heavy stream of inquiry. Andrew: So email was the best thing that you came up with? And you haven’t come up with anything else that’s as good? Josh: We’ve got other things that are bringing in leads that are very, very good. But in terms of cost, we generate about 300 leads a month, with cold email outreach, at a cost per lead of, let’s say 300 divided by US$2,000 is . . . where’s my calculator, so let’s have a look, 300, sorry, 2,000 divided by 300. So at the cost of $6.60 a lead. And then we’re converting . . . There’s a different breakdown that we do. Of the total we’re converting 5%, so times 5% equals 15, so let’s go. What’s our cost per acquisition? Two thousand divided by 15 equals, so $2,000 divided by 15 equals. So $133 is our cost per acquisition on the cold email outreach. This is Google AdWords or pay-per-click, $250 to $350. Andrew: I see. It’s 50% off for doing it, roughly, right? Andrew: That’s a big savings. But what are the cost involved in that in sending out those emails if you just have some guys in the Philippines doing it? How expensive can it be? Josh: With the data mining, we pay 17 cents per record and we mine 500 records a day, every day of the month. So 15,000 records we mine every month times 0.17, so we’re at $2,550 in data. We’ve got three people at an average of about $400 a month doing emailing. So actually we are under priced in our spending. We are spending about $3,750 on email average. Josh: When we looked into the spam laws, we looked in them pretty closely. So what allowed me to realize that this firstly it must be okay and researched deeper, was this is how Salesforce grows their business, it’s a big part of it. And spam needs to sent from an automated mail system and this way we’re actually sending one person to one person, one email. So there is no automated marketing behind it, like me finding someone that I want to ask question and emailing them. Andrew: My understanding is that it’s not either. What kind of customization do you put into the first email? Josh: So the URL goes into it, the business owners, their names go into it, and then one to two things that we actually noticed on the website that we feel would get them a good conversion lift. Andrew: One to two things that you would suggest they change to their website? Andrew: I see, so you’re giving them advice right from the start. Andrew: If you looked at my website, Mixergy.com. What you would see that you think we should change? I really would rather you saw the new design. Josh: You’re doing a new site? Andrew: Yeah, the new design. We’re starting to leak it out to premium members. 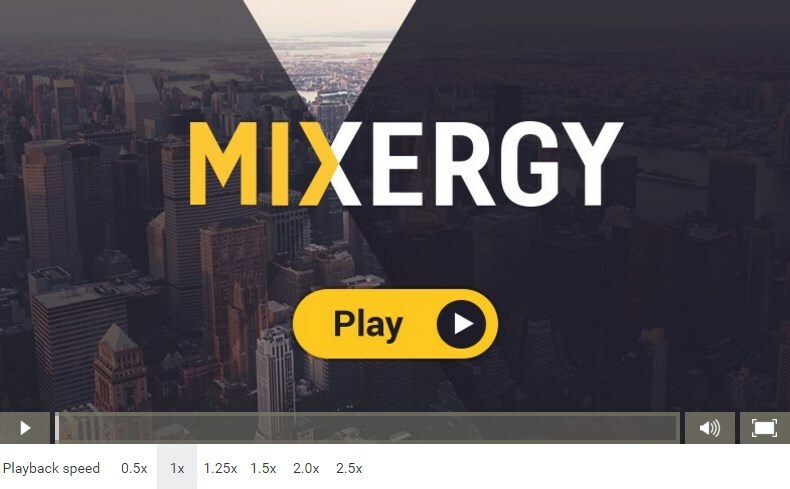 In fact, if anyone who’s listening to me is a premium member, just email hello@mixergy.com and say “Let me see the new site” and we’ll set you up. But what about the site as it exists right now? Josh: So have you found that big top, like above the fold piece, where they get nine interviews free. Did you AB test that because that didn’t used to be there, used to go straight into the . . .
Andrew: Oh, I see. You’re actually looking at the Welcome Mat page and we’re currently AB testing it. Josh: How’s that welcome mat going for you? Andrew: It’s okay. Let me see what the current conversion rate is. Let’s go to lead pages. That’s where we’re using on it, lead pages. We built our own and then . . . Sorry? Josh: Sorry, just to finish that then I’ll tell you one thing I think, a small thing, but I think could give you a big lift. Andrew: So we’ve had one that worked for years and then Brian Harris said he thought he could improve it. So I said, all right Brian, bring it. Let’s see what you can do. Let’s see if I have any numbers on this upside down, 8% conversion rate. Josh: Oh, that’s pretty good. Josh: It’s not bad, definitely for traffic straight into email from pop-ups. Yeah, one thing that I see immediately is where you’ve got your great social proof from your massive authorities for your premium courses, but right under that Go Premium button, I’d put a member testimonial. Andrew: Let me see. Oh, so you’ve now clicked into the site and that’s where you’re seeing the Go Premium button, right? Josh: Yeah, I went back to the main site. Andrew: Yeah, so under that you’d put a member testimonial. Okay. Josh: Yeah, right there. I’d even try, and I’d split test one testimonial under it and I’ll also split test one on each side of it. Let’s just go through to Go Premium. I’d also, possibly, have you tested different colors of that button? Andrew: You know, I have and I get a really nice pop whenever I change it and then it all goes back down to the same number in the future. Have you found that too? Josh: Yeah, just like it. Yeah, because with colors and things like that there is a bit of novelty that’s there for a while and then it wears off as more people get used to it. And yeah, so you got testimonials. I’ve just clicked through to the purchase page. You’ve got Twitter testimonials there. That’s cool. Andrew: Can I ask you something? Do you this on a regular basis for people? Andrew: You do? Before we started we talked about you doing consulting or, what is it, consultation calls with people in the audience. This is what you would do? You would just go through their site and tell them what they need to change? Josh: Yeah, so we would do that in the strategy session. We often find a number of things that we almost always will get a lift immediately, even if they just implemented it themselves. It’s often things like setting up 1-800 numbers, so they’ve got click to call, conversion tracking, next steps. One thing in the footer that works really well, but you don’t have at the moment, is put some copy in your footer that tells people what the next steps are to take from being at the bottom of your site. Quite powerful, but yeah, we do. We do a lot of this for people. Andrew: How can someone get that? Josh: If someone really wanted to come up with a strategy session with me, and if you’re a premium Mixergy listener, I’m happy to actually take, I’ll do the consultation. Andrew: Even if they’re an interviewee, you’ll do it personally. Josh: Yeah, an interviewee, I’ll do it personally. So the strategy session, just go over to the authorityfactory.net and you’ll see, I believe, off to the right down the page, there’ll be a Contact button or there’ll be a button of some kind, I can’t remember exactly what it says right now at the top of my head. You’ll go through just a very short form and a few questions, three or four questions. Andrew: I know what it is, it’s a, anywhere on the site where you click something like Grow My Traffic, Increase My Sales, or Become an Authority. Those are the three big options. If someone clicks on one of those, and then the next step is to book a consultation. And then they get to talk to someone on your team or if they were a previous Mixergy interviewee, they get to talk to you. And frankly if you’re listening to me right now you might as well type in Mixergy in the What Are Your Business Goals box or somewhere in there so they’ll know you’re a Mixergy person. I know they’ll take good care of you. I don’t get an affiliate commission or anything from that. I’m just talking about it because it came up in a conversation. Josh: Yeah, thank you Andrew. Andrew: I knew you had this in mind, I was going to put it at the end, but this is me selling. Andrew: And so you’ll also look after them? Josh: Yeah, I will definitely look after you too. So beyond the conversion tweaks and that as well, we’ll go right in the strategy session. I’ll talk to you really quite thoroughly about where you are now, what’s happening with your business. Really learn a lot about your business, what your objectives are, where you’re looking to get to, whether that’s growing your leads, growing your sales, getting your next offers, certain things what you’re currently doing that you’re not happy with that you feel needs improvement, boosting your conversion rates, and really growing your traffic, growing your conversion rates. And what we’re really doing now is called smart funnels, where we’re exceptionally good at supercharging your leads. And then using re-marketing and re-targeting to actually bring people back to your office for one-tenth, one-twentieth of the price that’s costing to get them there in the first place. And we’re finding that that is creating a much higher quality lead that is buying much faster and is willing to spend a lot more money because they’ve been educated through something that we call piece of pillar content, which is where we send the traffic to initially be it paid social traffic, Google AdWords traffic, or organic traffic. Yeah, we’ll go through a lot of things like that, that can really 3X, 5X, 10X your business over a 12 to 18 month period. Andrew: You’ve been doing this for 11 months, right? I keep checking in with you. I want to make sure I have the start of the company right. When did you start? No, actually you’ve been doing this for more than a year. I keep saying about a year. How long has it been? Josh: It’s actually the same company that I was white labeling for. The company has been incorporated and we’re going into our fourth year now. Andrew: Since incorporation, since you’ve started at this new version with this new business model on your own? How long has that been? Josh: Almost a year to the day. Andrew: And before that you had no other customers. You were just working on your podcast, Tropical Entrepreneur Show, right? Andrew: Okay, so it has been a year. Good. And so in about a year, how much did you get your monthly revenues to? Josh: Last month, monthly revenue we clocked just over $40,000. Andrew: And is that pretty typical now? Josh: Yeah, I mean, month in month out. We’ve grown every single month. So most months we go up by about 15%, we get bigger by 15%. Some months we double. That’s starting to get a little bit harder now. But there were plenty of months in the early days that we doubled. And [inaudible 01:03:35] to the smart funnels, which are more expensive than SEO and pay-per-click and re-marketing. We’re also getting bigger chunks of one-off setup income coming in too. Andrew: Okay. So let’s look at some of the points that you’ve told our producer were important for you to get to this point, to where you are today. The first is you said, you have to have a strong focus on customer acquisition. Don’t all consulting companies have a strong focus on customer acquisition? What did you do differently? Josh: I think they think they do. A lot of companies think they do, but what I found, especially one-man band consultants or one-woman band consultants doing when they’re getting started is that they will go through a customer acquisition phase and then they get focused on doing the work, and fulfilling for those clients, totally forget about customer acquisition, finish those engagement and then “Oh, wow I’m revenue-less again.” And then they do another batch of customer acquisition and then fulfill and then . . . So they’re in this constant loop of having no clients, chasing clients, having revenue, fulfilling, having no clients, and then going around in a circle. So what I mean by that is if you really want to grow a business that’s sustainable, substantial, consistent, getting bigger all the time, you need to set yourself up in a way that fulfillment can be done without you, sales can be done with you, lead generations can be done without you. But not so much without you, but you’re more orchestrating it and there’s a system and a team so that . . . there’s really only two ways you can automate. Technology and teams. And there is real no other way to do it. Teams as your standard operating procedures and your people and your recruitment and your technology is your CRMs, your email auto responders, that kind of thing. So you really need to make sure that you get a team in place as soon as you possibly can. And you get your technology set up right as soon as can. Andrew: So you can get leads coming in on a regular basis? Josh: So you get leads coming in on a regular basis. Andrew: And then you would close your leads or someone else did in the early days? Josh: In the early days, I did it, but I actually had salesmen on the team. I had three salesmen, only one of them is still with us now, who is now a sales manager. But I had three guys on the team a month after opening the doors. Andrew: I see. Where most people would think, we are a development consulting company, how do we get more developers? How do we focus on that? You said I want also to think about how do I have somebody whose job is to keep bringing in new sales. Andrew: It’s a pretty tough thing to do when you’re just getting started, hire someone who’s full time. Do you think that a founder could use outsourced, part-time people to generate leads on a regular basis and to send emails out to them, but the founder will close those lead? Andrew: In the early days of the consulting company, do you think that the founder could do those sales calls? Andrew: So you still need some system for bringing in leads on a regular basis. But the founder can close those sales and then afterwards, bring in someone else who’s going to close them. Josh: Yeah, but even if the founder is going to do it in the early days, they need to be focusing from day one, on I’m going to get another person to come in, sit with me while I’m selling, learn how to sell as soon as possible. And another great . . . I guess, really huge piece of advice is record your calls and make sure every call where you get the sale is put into a folder that can be used to play to your new consultants to train them. Here’s another thing you said. You said constantly be on the lookout for growth hacking or marketing opportunities that are going to keep bringing in new leads. What’s your process for finding more techniques for bringing in leads? Josh: So you want to plug into masterminds, into communities, into, you want to be going to events and workshops as often as you can but not so often that you’re not then focusing on your business as well, which happens sometimes I think too. But the other opportunities that we found are the resale channel, is super valuable. I think that’s another way that a founder could get started pretty quickly. If you’re good, quite good at fulfillment, be it SEO or building websites or pay-per-click or whatever, a great way to generate business really fast is to ring other agencies, because lots and lots of agencies have maybe got too much work or they’re overflowing, or they would prefer not to be doing the work and just winning the clients or whatever. And you can have other agencies sending your business pretty quickly. Andrew: Just call them up and say, this is what I do and if you happen to have potential leads or customers you can’t service yourselves, would you send them over to me? Josh: Yeah, I’d love to help you out or you purposely identify services that they don’t do but you know they’ve got a book of customers that could benefit from that service. So it could be mobile site, so it could be mobile advertising, it could be an SEO company that doesn’t do social media or anything like that. You know if they’ve got a big book of clients, then they can access those clients much easier than you can. And most of them will be more than happy, not more than happy, providing you, build a good value case and you’re smart and you speak well and you can manage your relationship for say, 5%, 10% a month of your service fee to send you clients on a consistent ongoing basis. Andrew: I was trying to see where your traffic comes from and frankly you guys don’t have much traffic on Authority Factory yet. But a lot of it comes back from meetme.so, which is Schedule Onces URL, which means a lot of your customers end up going to Schedule Once and schedule an appointment with you and coming back to your site after they’ve done it, right? Andrew: So that seems like a big part of your process. How important is that to keep getting people to schedule calls with you as opposed to buying online? Josh: The plan for 2016 is to turn authorityfactory.net into, not the world leading, but one of the world leading resources on digital marketing advice and information. So that’ll be a community/knowledge-based/portal of learning and to turn it into much more of a lead generator and a client generator. But up until now, web traffic as a source of leads, other than a couple of high-quality clients that have come through the podcast, has not been a focus. Andrew: Okay. All right, I think I’ve got everything here, anything that I missed? Josh: I just want to, real quick, do you sometimes, through the interview, are you sometimes like fact checking as well as [inaudible 01:11:22]? Andrew: And frankly, I did a little too much today. Josh: That’s cool. I just wanted to know. It was good man. It was awesome. Did you think it was valuable for the listeners? Andrew: I do, yeah. And so we’re still in the interview, by the way, so anything you say is still going out. I will not edit it out. But speaking of this whole fact checking thing, I feel today I must be a little bit off because I was a little slower with some of the research I did. I was a little bit slower with my responses. But I definitely kept looking for stuff as we were talking. Like I wanted to make sure, did I have the dates right for when you started the business, did I really have understanding of where your traffic was coming from, your reputation? I’ve gotten in trouble with that with some guests where they hate me for fact checking them during an interview because they’ll say something and I’ll say that’s not what I see. And they have to backtrack and they’ll be upset that I made them backtrack and not get to present themselves the way they want to. Josh: Definitely. I guess one of the things that, I don’t know, maybe super valuable, did you want to talk about smart funnels at all? Do you think it will be . . .
Andrew: I think you talked about it. Talk about it a little bit and maybe we can have you back on in the future to do nothing but talk about the smart funnels and teach them, because I feel like that’s a whole topic onto itself. Josh: True. It definitely is. Yeah, we can speak for ages on that and I would love to do that. Andrew: What’s different about your funnels from other people’s funnels? Funnel of course being something that takes traffic, turns it into email addresses and turns some of those email subscribers into customers. Basically that’s it and maybe gets them to buy more. What’s different about your funnel? Josh: I think what’s a little bit different about ours is we’re very good at doing them for your local and small businesses, where most funnels are more focused on information marketing. We build funnels for landscapers, for accountants, for mortgage brokers, for those types of real estate agents, those types of businesses. And we’ve got an interesting way of doing it where what we do is we spend quite bit of time with the business sign up to just really understand their target market and demographic. And then we find out what are the most common pain points and frustrations that your market has or biggest questions. And then once we got those, we go through and find out, of all of those which one is the most universal. And then we try to find three to five of the most universal ones and for each piece we build a long form 1,000 to 3,000-word pillar post that’s all written and then we put multimedia in it as well. And when that piece goes up, we put it up with re-marketing pixels on it, and we use paid Facebook and Google AdWords traffic to drive to that piece. And as soon as people hit that piece, that piece is 90% educational and 10% sales, but we’ve also put them in the remarketing list. So that piece is aiming to move to another piece to get a consult or strategy session or what have you. But if they don’t progress to that point, our remarketing is going to remarket the second piece of pillar content and that is also going to remarket the offer. Andrew: I see. What are the three pixels from? Facebook, Google and who is the last one? Andrew: YouTube. Oh really? You’ll do YouTube ads for smaller companies? Josh: Yeah, well not always. We’ve got to have a good look at it. But we’ve been using a great tool that Gideon put together. The actual name of the tool just slipped my mind right now. But it allows us to be very, very selective with the videos that they go on. So we make sure that everything that ads actually appears on are highly, highly targeted to this type of business. Andrew: Who is Gideon? Gideon Shalwick? Andrew: And he’s got some pixel techniques? Where did he learn that? Josh: Well, actually sorry. The pixel that we are using that for is for the initial traffic. Andrew: I see. For getting initial traffic onto the sites so you could pixel them and so on. Andrew: This is a full conversation that can last an hour on its own, talk to you offline about possibly having you on to teach it. For now I’ll just say anyone who wants to check you out should go to authorityfactory.net. And of course if you’re a past Mixergy interviewee, Josh will do a personal consulting call with you and help you out and kind of give you a feedback that he that he was starting to give me, but then I cut him off, right? I want to move back on to my audience. I do feel that I got a lot of value out of it. You will see in the new design that we will have a much better footer, for example, one that actually does have some call to action after people scroll all the way down to the bottom. All right, cool. Josh, thank you so much for being here. Thank you all for being a part of Mixergy. Remember my two sponsors are HostGator, this is one of my last days with the HostGator gator. I will be shipping it out to you. I don’t know how to ship it out. I don’t know how to say goodbye to him, such a good prop. Andrew: Fist bump. And Toptal, remember if you need a developer go to T-O-P-T-A-L.com. You’ve seen my past interviewees asked me about Toptal and you’ve seen how much they value it. I’m going to make an introduction right now for Josh to Toptal. If you want an introduction from me, just email andrew@mixergy.com or you can just go to toptal.com/mixergy and I bet they’ll schedule a call with you within minutes. They’re that good and I’m grateful to Toptal for sponsoring. Thanks, Josh. Josh: Thank you very much for having me, Andrew and thank you to the listeners for listening.